billboard's tweet - "The boys of @BTS_twt chat about presenting at the 2019 #GRAMMYs! More details: "
The boys of @BTS_twt chat about presenting at the 2019 #GRAMMYs! Хлопці з @BTS_twt розмовляють про майбутні релізи у 2019 #GRAMMYs ! 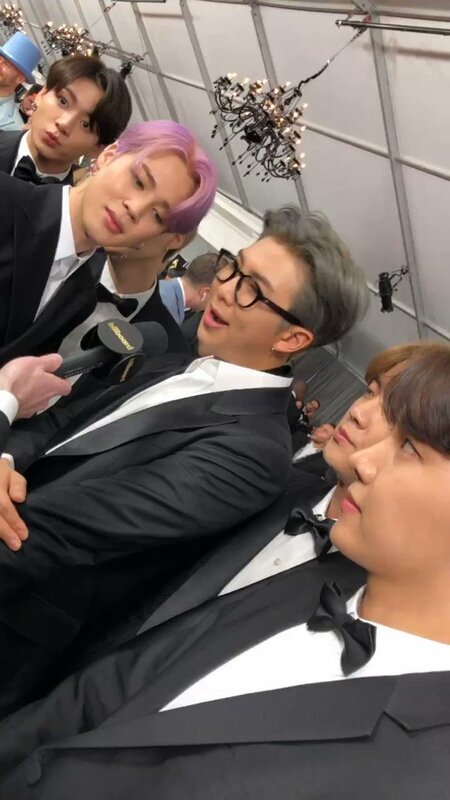 [🎥] #BTS no #Grammys 2019. #BTSxGrammys #BTS_to_the_Grammys #UnGrammyParaBTS #TearltUpBTS #grammys #GRAMMYsTNT en vivo #GRAMMYs #GRAMMYsTNT @BTS para el mejor grupos del mundo.